Recently swept off her feet, after a week of courting, the newly married Alix Martin is a woman obsessed by a reoccurring dream of her new husband’s murder. Each time she can see the murderer clearly and it is the mild mannered man she had almost married wreaking his revenge. But, what is worse is that at the end of the dream she thanks the murderer. Alix, perplexed and confused calms herself in their pretty garden when their gardener, two days early, wishes her a happy trip and says he’s sad to hear that the couple may never return. More than perplexed Alix is now scared, is the simple gardener confused or is she? What can one say about anything Agatha Christie has written. I have read almost all of her books and short stories, but every once in a while I find one that I have missed. 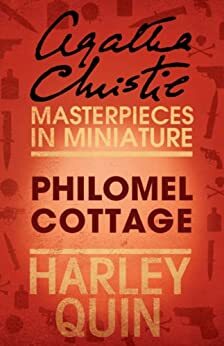 Philomel Cottage is such. It is an old love story with twists and naturally mystery thrown in. I am an older person and a book-worm (now also a Kindle worm) and I can't say that I have enjoyed reading any other author as Agatha Christie so much. Philomel Cottage has given me again a couple of delightful hours of a good read. 5.0 out of 5 starsQuick Read! 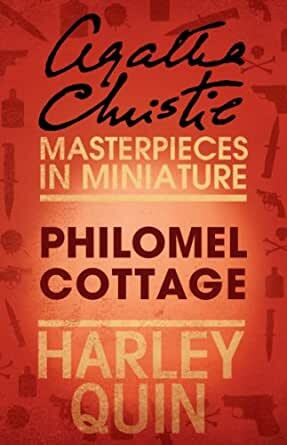 I like any thing written by Agatha Christie, but sometimes you want a quick read but still enough mystery to figure out. And this book certainly does that. What I always like about her books is that you think you have figured it out right from the beginning,, only to find out you were not quite as wise as you thought you were. 5.0 out of 5 starsIngenious!! As usual, this is a great short story by the clever Agatha Christie! It was intriguing throughout and has a twist ending that will surprise you-- even if you don't think you can possibly be surprised, Ms. Christie will manage to do so., This is an entertaining way to spend about half an hour or so. It's well worth it so check it out! Terrific psychological thriller with an incredible ending. Sometimes people are not what they seem and you'll find that to be true when newlyweds move into philomel cottage. You can't miss with Agatha Christie. Her stories are always interesting. Naturally the material is a bit dated, especially the forensics. but it's still a good read.